WOW! 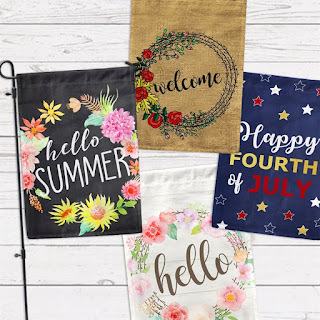 Check out these Summer Lovin' Decorative Yard Flags | Free Shipping ONLY $9.95! A perfect opportunity to do something NEW and BOLD, something BEAUTIFUL! Make your yard and home beautiful with this festive garden and home flags. DETAILS: Each flag measures 12"x 18"
Free. US only. Seller usually ships within 5 business days. Ships no later than Wed, Jun 13.